שָׁלוֹם עֲלֵיכֶם - Shalom aleichem! 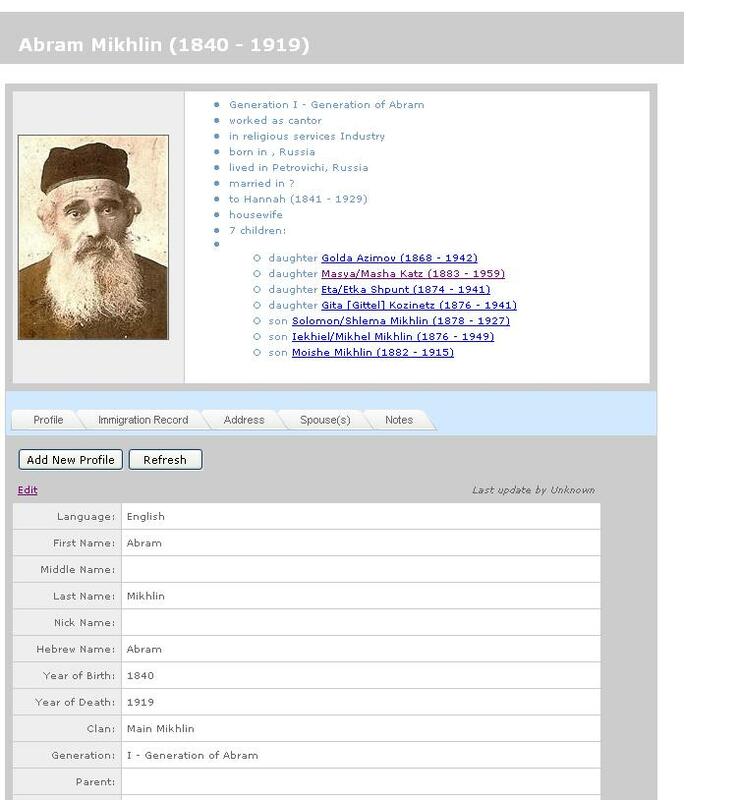 Abram Mikhlin (1850?-1919) Welcome to Mikhlin.org! Welcome to our family site. We are "dam hazans kinder" (children of cantor, Yiddish)- descendants of Abram Mikhlin (1850?-1919), cantor at village town of Petrovichi, Smolensk area, Russia. We hope you will find that community here in many different ways: by reconnecting with relatives, meeting members of the family you haven't yet met, learning about our family history, sharing announcements of important family events and passing our fascinating heritage on to our next generations. We also hope that you will add new information and help in our efforts to uncover the many missing pieces still found in our family tree. 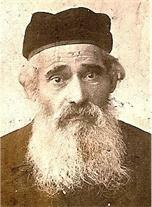 28 Jul, 2013: `My cousin Lazar Mikhlin (1903-1987)` by Ruvim Katz , The bio of cantor Abram Mikhlin`s grandson. 13 Mar, 2013: Anti-tank dogs. WWII story. , A story narrated by webmaster's grandfather Ruvim Katz about his experiences during `The Siege of Leningrad`. 3 Nov, 2012: Descendants of cantor Abram Mikhlin in the Israeli Defense Forces Pictures. 3 Nov, 2012: Cousins meet in San Francisco Janet (Mikhlin) Neice for Ann Arbor, MI visited her 4th cousin Daniel Klionsky in SF. 10 Nov, 2010: Bio of Nelly Nemirovsky (1920-2009), youngest daughter of Iekhiel Michel Mikhlin(1876-1949), who was the oldest son of chazan Abram Mikhlin.